6. Am I Falling Into the Claws of the Lurking Death-Traps? 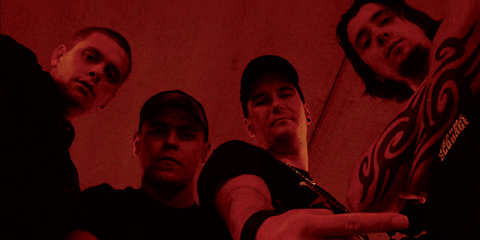 Moker was born founded early 2003 by 2 members of the metalcore act Linchpin. Their drummer and guitarist wanted to play harder and more brutal stuff and above all more metal. So a logical step was to play death metal. A singer was found in a guy that played many backing vocals in different band. They asked him to join their new project. The answer was yes and so thier brutality could be add with vocal sickness. Drumming Wouter asked an old friend to join them on the bass and so the band was complete.And now they found a second guitar player Dirk Broeren (Mordred,ex-Aeons of Old).